Coming early next year, you will once again be able to sit your best friends down and whoop on them with a sword, nunchucks or other form of weapon–digitally, of course–when the next game in the SoulCalibur franchise comes out. There hasn’t been a lot of info released yet about this game. 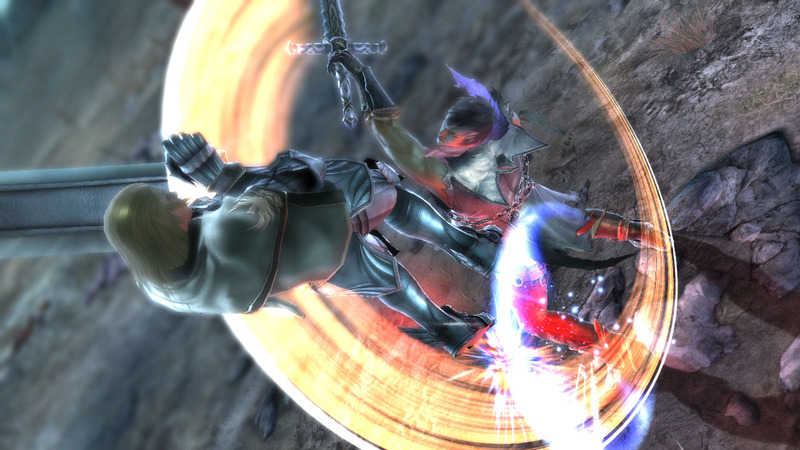 It will feature the familiar weapons-based fighting that made the series what it is, but so far the details have been on the skimpy side. Because of that, it has been slightly overshadowed by the releases of other fighting games featuring crossover characters (and big PR budgets), like Marvel vs. Capcom 3, and the up coming Tekken X Street Fighter. But to many, SoulCalibur is the preeminent fighting series available, so the hype should pick up steam in the coming months. So far only eight characters have been revealed: Siegfried, Nightmare, Mitsurugi and Ivy are all returning, and they will be joined by the original characters Patroklos, Pyrrha, Natsu and Z.W.E.I. Guest characters will also be included again, but no word on who or how they will be included. And that’s about all we know right now. But then again, how much more info do you need about a fighting game, especially a sequel? You choose a character and proceed to go crush your enemies. The SoulCalibur franchise knows what it is doing. So for now check out the recent Comic-Con trailer, and expect to hear a lot more about this game in the coming months leading up to its PS3 and Xbox 360 release in January of 2012.